Here at PODS we’ve been working with the Global Disaster Recovery and Property Restoration Company, BELFOR helping them with various restoration projects across the UK thanks to our unique storage containers. For those of you who don’t know them, BELFOR are the leading global restoration and repair company with more than 7,000 employees in 26 countries their services run 24 hours a day, 365 days a year, restoring fire and water damaged properties of all sizes and scales. BELFOR wanted a storage solution that was responsive, flexible and was able to support them UK wide. After talking through the PODS concept with the sales team it soon became clear that PODS were the ideal fit for their needs. 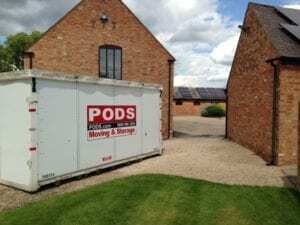 Our largest PODS storage container can hold the approximate contents of a 2 / 3-bedroom property and can be delivered to virtually any location thanks to our patented lift system, PODZilla. We have 3 different sizes of storage containers all are 8ft wide and 8ft high but they vary in length. We have a 7ft, 12ft and 16ft storage container. All storage containers are lowered to ground level for ease of loading / unloading and left on the client’s driveway or road (permits required) for as long as is required. As BELFOR were using standard storage facilities for their projects before approaching PODS, this meant using either expensive removal companies or their own staff to move clients salvaged goods to and from their home or business to an off site storage centre, taking up time money and effort. With PODS our storage containers can stay at the restoration location, which saves money on the claim and decreasing the time of restoration as everything can stay onsite in our secure storage containers. BELFOR also only have deal with one company meaning one invoice for each project, again making it easier to manage. Our storage containers are secure and can withstand winds of 110 miles per hour and are fully weather resistant, which will be extremely helpful considering the current unpredictable weather! All PODS storage containers are fitted with a translucent roof so it lets in natural daylight unlike dark, damp shipping containers. As an added bonus, we don’t have a time limit on our storage containers so whether a project takes a few days, a few weeks or a few months, we can help! 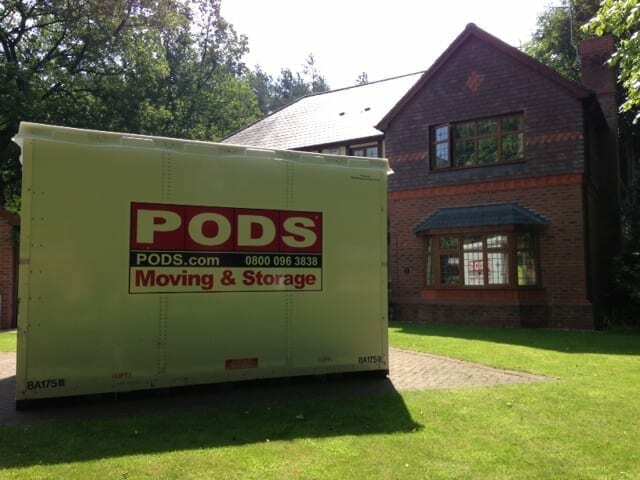 Just click to read about many more benefits of PODS for moving or storage. As we all know, disasters such as fire and flooding are unpredictable but this is no worry for us as we can deliver our PODS the next day to ensure BELFOR and the property owners can start as quickly as possible on their restoration or recovery. It’s not just the British side of PODS and BELFOR that are collaborating, our partnership spans the globe. We look forward to what we hope is a long and prosperous business relationship. If you are interested in using us or working with PODS – please contact info@ukpods.co.uk or call our team on 0161 826 2369.